In this article we see, what are the top programming languages one should learn and build a career? Also, there is recommended programming books for preparation. 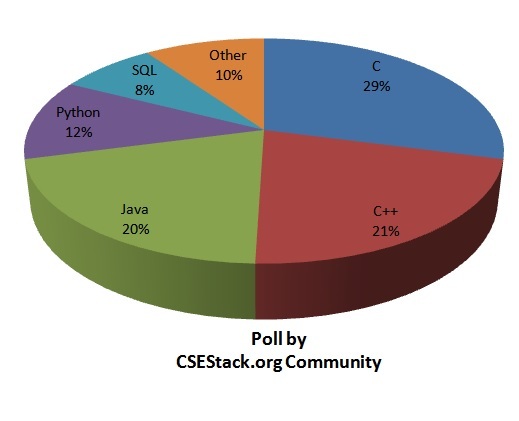 Before making this post, we had asked our CSEStack community member to opt for Programming Languages. Here is yield result from the poll. It depicts the programming languages popularity. Now, Lets discussed 5 top programming languages that are widely used and gives best option to build a career in software industry. C is a general-purpose, imperative programming language released in 1972 developed by Dennis Ritchie at Bell Labs. C++ (pronounced C-plus-plus), released in 1983, is a general purpose object-oriented programming language developed by Bjarne Stroustrup at Bell Labs. It is an object-oriented extension of C.
Both of them are structured programming languages with minute differences that may go unnoticed but shall not be neglected. Today, we have languages that are easier to learn and implement than C and C++ but I’d suggest you, to begin with, these as these languages are the best ones that you can find for strong concept building and logic. Java is a general-purpose, object-oriented language, first released in the 1990s. It is a write-once-run-anywhere language. It is extremely popular among developers as it is simple, readable, structured and has inbuilt libraries for a lot of features that can be easily implemented or put to use. It is also the language for all the android apps. It is an extremely vast language with various specializations as per the requirements of the projects. Hence it gives a large view of the computer science and programming world to a novice developer. Python is a general-purpose, high-level, interpreted and dynamic programming language. It is one of the easiest top programming languages you’ll come across in terms of syntax. It is very similar to English language making it very readable as well as easily learn-able. It is often considered as one of the top programming languages, to begin with, while teaching programming. But that doesn’t limit its functionalities as the learned developers can explore a lot more using python and it is also fun to work with. It also has particular libraries to deal with computer vision, number crunching considering the big data boom and much more. C# (pronounced C-sharp) is a relatively new programming language designed by Microsoft. It is simple, modern, general-purpose, structured, component oriented, type safe and object oriented. It is an evolution of C and C++ and works with the .Net framework. It also resembles Java from certain points of view making it more acceptable for the world of development of enterprise applications. Pronounced as ‘sequel’, it is a language that is used to deal with the data that is stored in a Relational Database Management System (RDBMS). It is a basic language to deal with the databases and has evolved in many flavors MySQL, PostgreSQL and Microsoft SQL, yet keeping the essence similar. As the big data growth, data management is required in every field of business. Almost with the beginning from the small scale industry to the large-scale industry and research, including the ones in the latest areas of work in this era of computer science. SQL is the basic language whose knowledge is essential for anyone looking forward to dealing with the database. From a previous post, you may have read types of programmer needs for software developer jobs in future. So this is the basic set of languages learning which is not just essential but also extremely helpful. 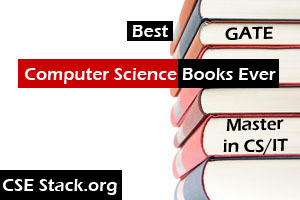 It helps you to adjust, grow and evolve in the computer science field. Note: Button link under every programming language redirects you to the articles shared on that particular topic on CSEStack portal. If you are learning or working on any of the programming languages above, you can bookmark button link to know all the forthcoming articles on your interesting programming language. You may have some opinion on evolving new top programming languages. Being an expertise, you may want to share your command on any of the programming languages as you are thankful for it. Feel free to write in the comment section below. Should I learn Python or Shell Scripting | Difference Between Two?